Subsea Technology and Rentals (STR), a multi-disciplinary technology expert specializing in the design, production, rental and sale of innovative marine survey equipment, has become the first company to invest in Sonardyne International Ltd.’s new Long BaseLine (LBL) and Inertial Navigation System (INS) software, Fusion 2. 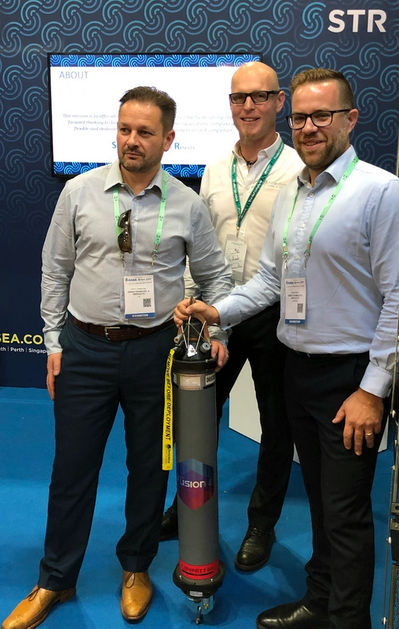 The announcement was made following Sonardyne’s launch event at OSEA 2018 in Singapore. • Singapore • Sonardyne International Ltd.